We’re in a brand new town, discovering new mountains around us and spending a lot of time tromping (or riding) through the ground to get a feel for the area. We truly believe the best way to get to know a new place is by experiencing it. That means leaving the house every day by foot, bike or carrier/stroller (if walking isn’t your forte yet….) It means talking to every local you can find (and weeding through a lot of tourists to get to them), dodging Bison dung (and keeping an inquisitive almost-toddler with an oral fixation from tasting it), braving the rain and snow and just getting out there. Both Mtn Papa and I have lived a lot of places where you really have to work to get to know the community. It requires engaging in whatever happenings are out there, being ok with the fact that you may have to (gasp!) make your own fun, and just being ok with where you are at. I find it a great tragedy to run into people who HATE the small town they are in, and yet choose to not go out and discover, explore and BE a part of the community. As a family, we have a variety of ways to cart around our kids. 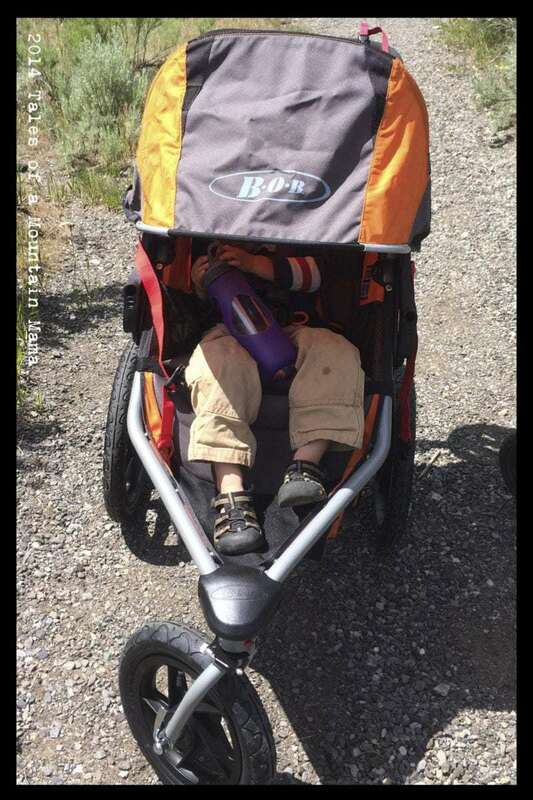 We justify the strollers, kid carrier backpacks, wagons, bikes, trailers, and soft structured baby carriers by the fact that they are helping us move as a family and enjoy the great outdoors. 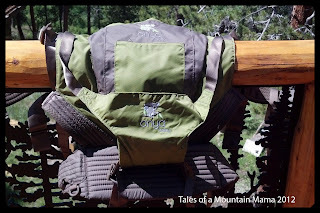 Previously on the blog, I reviewed our Chariot, Osprey Poco Plus, Kelty Pathfinder, Deuter Kid Carrier III, Boba 3G and today I am happy to introduce you to the Onya Baby carrier and Tula Toddler Carrier. Both are unique in their own respects and have opened up new elements of freedom for us. Don’t get me wrong – I don’t think every family needs 100 baby carriers, every framed kid carrier backpack and a variety of bike trailers. You do what works for your family. I just take it as my “job” to help you know what is out there! This carrier is really like none other. It’s special features made me eager to get my hands on it and put it to the test. However, thanks to the fact that P is a small kid (tipping the scales at somewhere near 17 pounds at a year) I was glad it took a while to check it out. The Onya just isn’t for small babies. That said, J (at 3 years and over 30 pounds) still fits comfortably in it for most situations. However, he is a bit too tall for the sleeping hood to be super effective. The Onya actually comes in two different models – the Outback and the Cruiser. The biggest differences are the fabric (cotton vs. nylon/mesh); the weight (3.5 lbs. vs. 3.25 lbs.) and the colors available. Due to the fact that the Outback was made specifically for hiking and outdoor adventures, it is the one I am reviewing here. Both models have an integrated chair harness which allows you to strap in your child safely wherever you are. We have used ours often at restaurants, parties and while traveling. – Machine washable and easy to wipe down. This is especially important after using the seat feature (where flying food tends to be normal.) But, in general, I am BIG fan of anything that is machine-washable! – The mesh lining does keep the baby cooler. – The structured waistband helps support wearer and baby and is very comfortable. Putting the chair harness to good use….excuse the food mess! – Shoulder straps can be adjusted in two different directions. Hard to explain (so see photo below) but it allows for easier adjustments no matter if the child is on your front or your back. They are also similar to seat belt material and are smoother than most other carriers. – Unique mesh interior to keep both baby and wearer cooler. – Shoulder straps can be worn crossed behind the wearers back (or not if that is what you prefer) when the child is worn in front. – Because of the nature of the Outback, the fabric it is made of, and the attached seat, it tends to be a bit more bulky (and certainly more than the Boba 3G.) Because of this, I grab it for traveling, eating out and any situation I foresee wanting the chair harness. But, I tend to use it LESS just around the house or running shorter errands when space is a bit more limited. – I have been using SSC for three years now and have a good system to get babies on and off my back by myself. For some reason, the placement of the waist-strap buckle (which is actually attached to the carrier itself) doesn’t work well with that system. I am doing a lot of reaching and would prefer that the buckle placement fell more at the bellybutton position. Carrier with seat pulled out(zips out of pocket located at base of carrier. – The hood has a pocket to put it into, but it really doesn’t stay in there very well. I find myself constantly stuffing it in. – All the pockets are located on the back of the carrier, against the child’s back. I would prefer having one on the waistband. J has been worn since he was very young. I worked with him on my back and wore him when he needed Mama time (and I needed to get things done!) Therefore, he is very comfortable in carriers. When we found out we were moving, I started looking into carriers made specifically for toddlers to allow us some freedom to attend events later in the evening (since finding a babysitter would not be easy at first.) The goal was to have a place that J could comfortably fall asleep and still be with us. 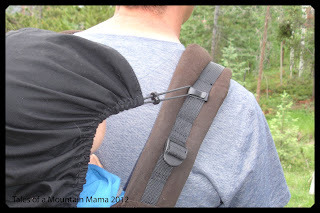 Soft structured carriers in general have allowed us to still get out often with a baby on our back. We even attended some Western Country dances with J sleeping soundly on Mtn Papa’s back. Tula was recommended to me as an up-and-coming Polish company making its appearance in the United States. 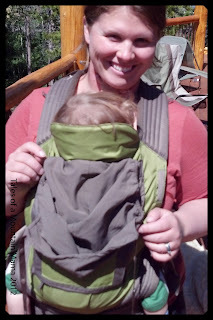 The Tula carrier is simple, but allows for easy wearing of children. Tula also has a more standard sized carrier that is compatible with an infant insert and toddler extensions. 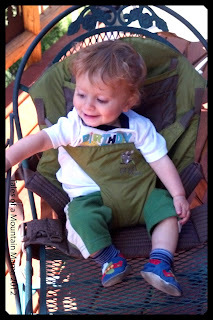 – The freedom of wearing our toddler (Tula is made for about 18 months to 4+ years.) *We do some hikes with soft structured carriers (like the Onya, Tula or Boba) but do prefer framed carriers for longer hikes simply for the storage room. 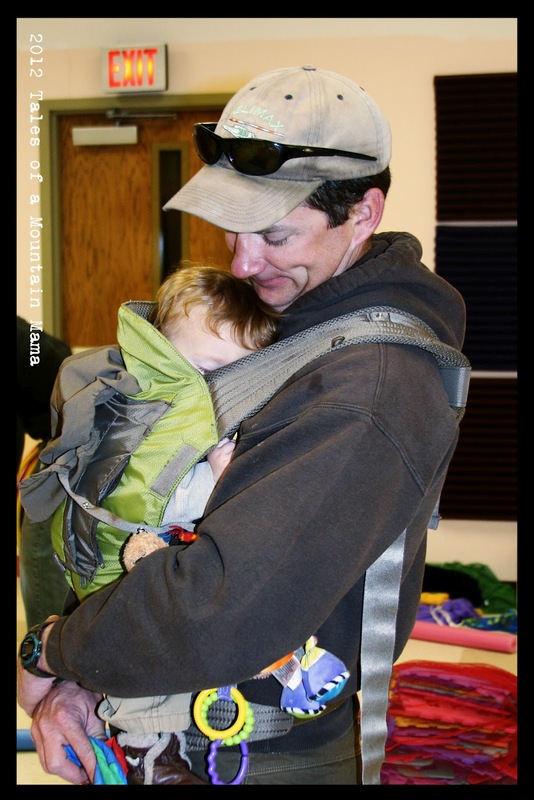 – Simple design means less weight on the carrier and comfort for parent and child. 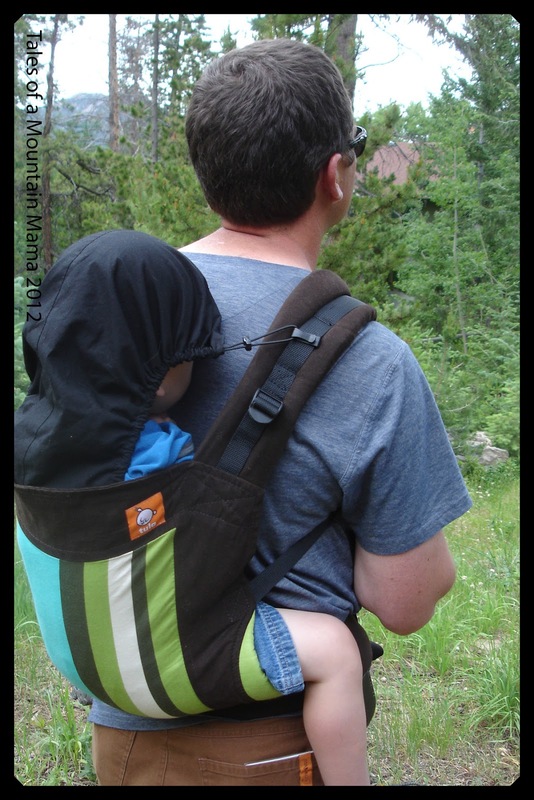 – The higher back and bigger hood allow for a larger kid. This is truly a toddler carrier. – The sole pocket is not zippered and located in an area that we have found gets covered up pretty easily by the toddler. – The hood attaches at a location that can only be adjusted so high (see photo above.) I wish you had the option to attach it higher on the shoulder straps if you needed to. 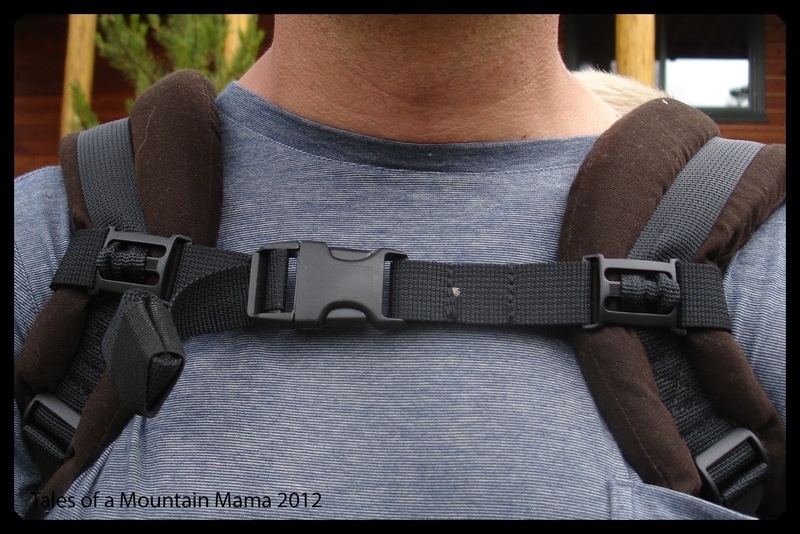 Both the Onya and the Tula serve their specific purposes well. Neither one can be used from birth to toddler, but most families who use SSC end up with more than one anyway (if they have more than one child.) They are made with an attention to detail and love and they come highly recommended by us! I want to know! What do you think of the Onya and the Tula? Have you used them? What SSC do you use on a regular basis (or do you prefer another kind of carrier)? Any questions about these carriers? Onya and Tula generously provided us these carriers at a reduced rate or no-cost for the purpose of facilitating this review. However, as always, the opinions expressed here are completely and honestly our own. Thanks for this article. We are travelling with our 20 month old in a few months and are looking for a good option. These are the two I have narrowed it down to. My partner is tall and thin and I am short and curvy. Also, our son is very sturdy and muscular, with a long torso. It’s been hard to find a carrier that works for our family. Might you have some insight as to which of these (or neither) would work for us? Another option is going with the Boba Air, though. Packs up SUPER small (the Onya is a bit bulky…more so than the Bobas) and works for any size wearer. It seems like not much because it is so thin, but I can easily wear my 25 pound child in it for hours. Thank you so much for the comparison! We’re lookinh for a carrier for our 11 month old who is pretty tiny (16 lbs) but aren’t having a lot of luck finding something we like. Thid post as well as the comments have helped so much! I was looking at the outback but now I don’t think its a good choice because I’m really small. I’ve never had the chance to try a Tula so I don’t know how it would fit or how well it would keep my little hotbox baby cool. We didn’t like the Beco butterfly but maybe the air will be better. Just realized its the boba air. we’ve never tried a boba either. Ill have to look into it. Yes, the Boba Air is awesome! Especially for needing something quick while traveling, etc. Ok, so the Boba Air is smaller, but isn’t necessarily more breathable. 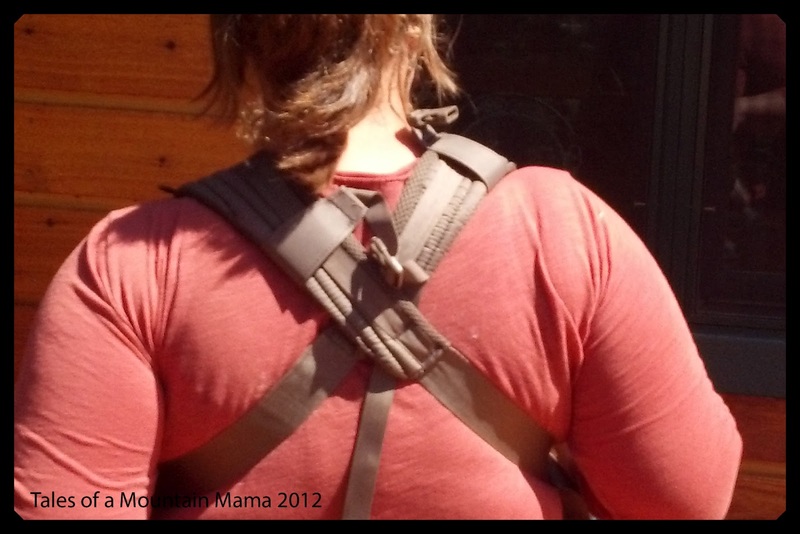 The Tula compares to the Boba or Ergo (similar fabric.) I personally don’t think the Onya is great for small frames, but more not great for small BABIES. However, I also don’t think it keeps babies cooler either 🙁 All that said, the Boba is slimmer (less bulky) than both the Tula and Ergo and so is a little cooler. Either way, you have a hot baby next to you! I understand the dilemma! Hi! I came across your website searching for Tula toddler carrier. I need a toddler carrier for our soon to be 4 year old (35 lb, 38 inch). He complained the ergo hurts, but we need to something to take him for our Southern Utah national park trip this summer. I read your Piggyback rider review, but I don’t think it works well when our son is too tired to walk and probably want to sit down. We could invest a framed carrier, but our experience of trying them at stores 2 years ago were that we felt off balance as our son’s weight is too far from our body frame, and it would be even worse now. Which carrier do you recommend in my situation? I appreciate any feedback! Yes, the Toddler Carrier would work great for that. 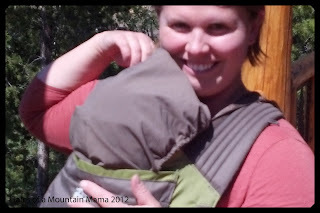 We really loved the Tula for toddlers and it will be more comfortable for bigger kids and easier to pack too. Does that help? Let me know if you have other questions! Could you possibly give the measurement (width and height) of the Onya’s back panel. Sure! 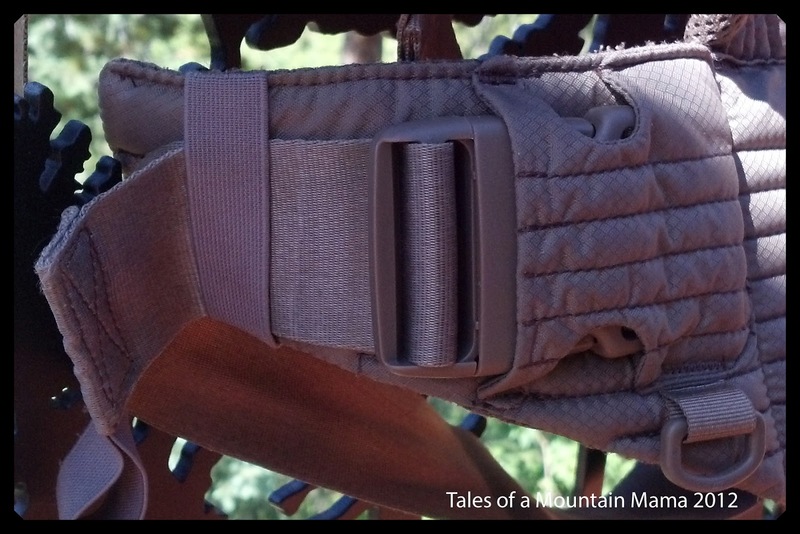 IT’s about 17″ at it’s widest (near the shoulder straps) and 18″ from the top of the waistband to the top of the panel. Hope that helps!! My 45 lb. 5 year old fits in it well still! Does that help at all? Let me know! Hi!! Very helpful information! So, I’ve been checking out the Onya Outback and the Ergo Performance to use in hotter weather with my 3 month old. Staying indoors all summer is just not an option with my 2 year old. We’ve been using the Moby wrap and it has been wonderful so far, but it has entirely too much fabric for the warmer summer months. I’m just looking for the coolest and most comfortable option for me and baby. Thank you for your opinions, they’re very helpful!! I am in the process of testing a Lillebaby All Seasons. It looks like it will breathe better than any of them….but I will let you know! Watch the blog for that. The Onya isn’t particularly cool for really hot days, but better than a wrap. I haven’t used the Ergo performance yet! Hi! Thanks for the awesome review. I was pretty sold on the Tula until I heard about the Onya – but I still can’t make up my mind. My son loved the Moby and then eventually transitioned to the Beco Butterfly, but he was a big guy who got hot easily. I am expecting baby boy number 2 in September and would like to get something for him. I’m thinking he will most likely start out in more of a wrap/sling situation until he gains some head control. But what my husband and I are really looking for is the ability to be hands free to get things done around the house, for errands, for neighborhood walks and small nature hikes etc. I would expect that because he is number two, he will be born a lot in order for us to keep up with a very active toddler and I’m also guessing that by the time he is ready for a SSC, will be spring/summer. Thanks for your suggestions! I am also going to be testing their infant insert which you have to use until 15 pounds. It should be here any day. Watch the blog for some previews and the review or feel free to email me next week and I can give you my initial thoughts! Hi, came across your review trying to decide between the Boba 3g and the Onya Cruiser. Would you have the seat width and panel length measurements of the Boba 3g? My daughter is 22mo, tall(82cm ) and slender (11-13kg). I’m hoping to get a new carrier that will last us into toddlerhood, as she’s outgrowing our Ergo. We’ll be travelling to visit family in Jan next year, so she’ll be 2yo. Will her movements be very restricted in the Onya, given it’s narrower at the top? Hoping to carry our passports on the carrier as well for easy access and safe-keeping. Would you know/recommend which will best suit our needs? Both carriers are great and come highly recommended. I could put my son when he was 4 easily in both of them – she would not be restricted in either carrier. The only reason I would steer you towards the Onya in your case is having a pocket for passports (they would not fit into the pocket of the 3G.) The weight limit on the Onya is higher so she will be able to use it longer – but since she is slender, it may not ever be an issue for you. Does that help at all?? Thank you so much for the review!! I have been looking for a good tula and onya comparison. I am a first time mom looking for a good ssc. I am petite and my son is kind of thin. 19lbs, 31 inches. If you have time, may i please know what you would suggest for us as an everyday carrier? We are relocating to the philippines this coming winter (we are currently in northwest indiana) and we are expecting humid weather. I understand the tula canvass is 100% cotton and maybe the cruiser may be cooler in humid weather. 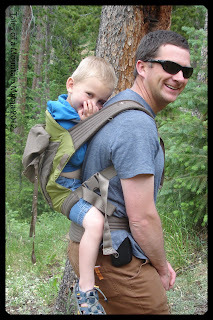 But is the onya as padded as the tula? I have scoliosis and the padding and back support is kind of a big deal to me. I am pretty much sold on the tula because of the really cute designs! But a piece of my heart is kind of telling me to get an onya. I am so torn!!! I hope you could give me sound advice. If i can afford both, i would get them but i don’t want to spend too much for two carriers if i could have one that can do the job. Looking forward to hear from you! Thanks so much!!! How old is your son? And how often do you wear him? Daily or just for walks/hikes? We currently have a Standard Tula for our 10 month old. Looking into getting the Onya but also considering an I-Angel. 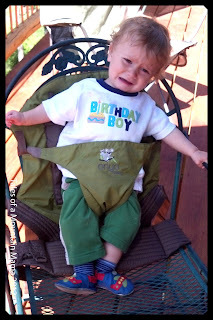 Have you tested hipseat carriers? I think the integrated seat feature of the onya is a great thing but I’m similarly intrigued by the hipseat. Want to know your thoughts on those. We live in the Philippines and use the carrier mostly for grocery runs, malling, baywalk strolls and for church. Personally I would prefer to have a carrier I could use for all activities – most kids are fine in either front or back carries. But you have me intrigued!! And yes, we love our Onya! I love our Onya Outback! It has been our son’s favorite. I too love how the straps tighten in BOTH directions! And they straps glide through the buckles like butter. Makes it very easy to tighten/loosen. 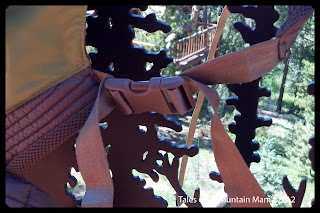 Waist buckle – It’s funny that you don’t like the waist buckle placement, it has never been an issue for me, and maybe that is because of how I get our son in/out of it. When I do a back carry I do the hip super slide, so I start off with it on my front. It is bulky, so I just wear it around my waist when out and about. So it is ready when we need it. Hi! I am from Brazil and want to buy a carrier for my son who is 18 months. We started with a bjorn active but now I really feel I need a carrier to put on my back. I am between tula and onya, the thing that worries me most is the padded sholder strap. Tula seems to be more padded, does that make a diference? I liked the onya better, but am afraid of the sholder pain because I intend to wear it until my son gets older and heavier. What do you think? I just got my Tula. 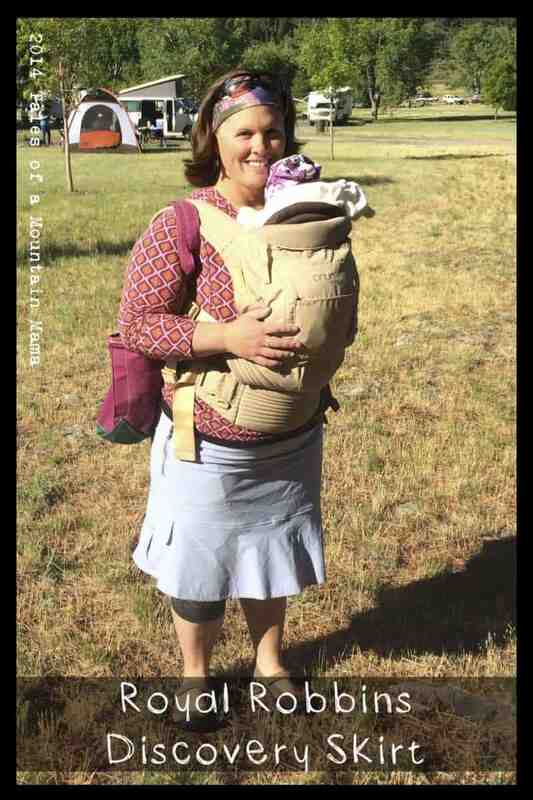 And when tried it just now w my baby (4 months plus), it was light for me as when compared with husband’s carrier. However, I noticed his legs were abit too far apart (more like a wider ‘m’)(seeing that it should b ‘m’). I think that is ok, right? Being skeptical here. But, but, I love the padded bottom where their inner thighs are resting. Hi Nur – I would have to see a photo!! I would ask Tula first – is your baby 15 pounds? We have owned several carriers and my honest opinion is the onya baby has been the best for us. My daughter weighed 20 pounds at 6 months old. (She was 10 pounds at birth, so this was expected) most of the carriers killed my shoulders and/or back from all the weight. I found the onya baby while vacationing in Hawaii. Oh my goodness!! As soon as I put it on and added the 20 pounds I couldn’t feel anything. It was wonderful! At 9 months old she weighed 28 pounds and we hiked up almost a 1.5 mile mountain On a trail. My husband’s back not shoulders hurt when we got to the top. Honestly, it is my go to carrier for everything. Thanks so much for your input!!! 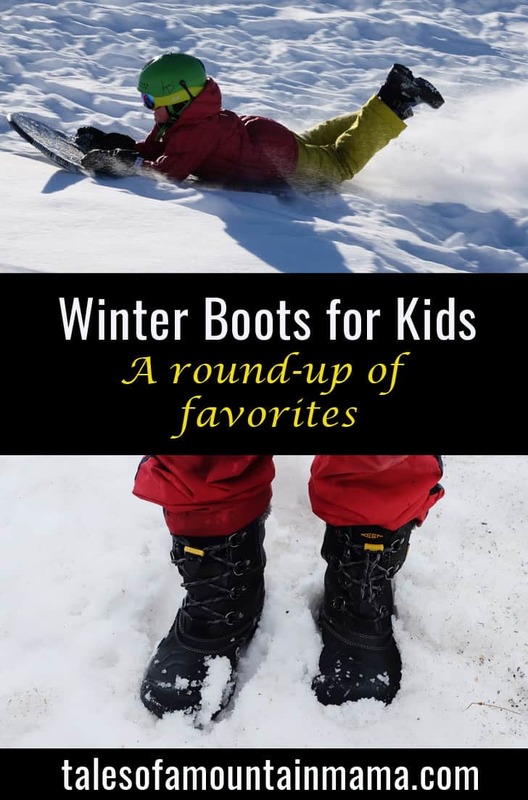 I think they are awesome for bigger kids too!!! So I’ve been debating between an Onya and a Tula. We’re going on a national parks vacation in August to Arches, Canyonlands, Mesa Verde and The Great Sand Dunes where we will be wearing my 15 month old daughter a lot. She’s pretty big and weighs 28lbs. I know both carriers are awesome but I can’t decide on which one would be a better investment. I love the coolness and light material of the Onya for the trip to the hot parks, but think that a Tula may fit my every day needs of wearing her. Thoughts? I don’t wear her a lot but that’s mainly due to the fact that we don’t have a good carrier yet. Hi! First of all, thank you so much for making this post! I came upon your post because I am looking for an all purpose ssc for my 5 month old son. He is 28.5 in and 19 lb. 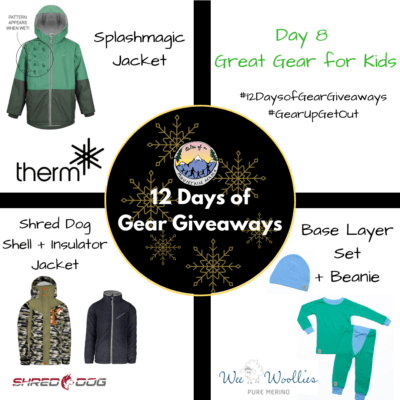 I live in PA, and I’m looking for something that will be comfortable all year round, in and out of doors for everything from housework to hiking. I have been trying to decide between the Tula and Onya. I like that Onya also has a hip carry. Any thoughts? First of all, thanks so much for making this post! I found it because I am currently debating between getting a Tula or an Onya for all purpose use for my 5 month old. He’s 19 lb 28.5 in. I want to be able to do everything from house work to hiking, and I’m just not sure which one I like best. Any thoughts? Thanks! Hi Katherine – always a tough question because it is so personal preference! Here’s some tips…. Both are really great carriers – but Tula seems to be more of an every day one and the Onya is more for getting out there….does that help at all?? I realize that this is an older post but chiming in with my two cents! The Onya NexStep was my first SSC (other than an Ergo that I used once and immediately returned), and I love it, love it, love it. It’s unlike many others that I’ve tried throughout the years in that it doesn’t have that stiff, canvassy feel – it’s fairly soft from the outset and softens over time. I have a larger child (90%+ for height and generally around 75% for weight) and have been comfortably using this for her from 4 months until now (22 months). 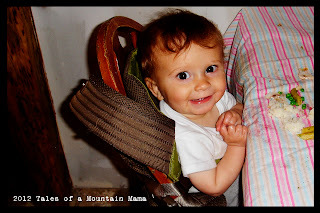 I actually don’t love the high chair feature just because she has always either been in our laps or on her own chair, so this was just added bulk, and as you mentioned, the fact that the hood doesn’t fit properly into its pocket (and stay there) is also annoying. I have just recently been trying it out with my 2 month old (with the infant insert, which I never used for my first) and while it’s workable, I don’t like it as an infant SSC as much as my Lillebaby. I recently acquired a standard and toddler Tula and I think these are my new favorites, because they’re such a simple design (no bells and whistles), they’re beautiful (I picked up a couple of wrap conversions), and they’re incredibly comfortable. I can’t fit my infant in the standard Tula the way I could in the Onya (which was workable with or without the insert), so it’s completely out for the next few months. That said, my husband tried the toddler Tula and maintains that the Onya is his preference. We both work for an outdoor retailer and he fits packs all day long but could not get the straps to hit as comfortably as they did for him on the Onya. Which, frankly, is great for me, since I prefer the Tulas but it would have absolutely killed me to get rid of our Onya, which I’ve absolutely loved for close to two years now and still wholeheartedly recommend without reservation. I tell people all the time when they’re trying out framed carriers that they need to actually put them on because for all the positive reviews that one may have, it can simply be a poor fit when actually tried on, and the same is true for SSCs. I’ve tried about 5 or 6 at this point and feel that quality-wise, Tula and Onya are extremely comparable, so the deciding factor will ultimately just be what it actually feels like to the wearer. In case this helps anyone: After reading up a bit, I chose the Onya. It is absolutely not for small babies….even with the insert. Could not get support for the head, & it rubbed his head.I joined a baby wearing group to figure out why I couldn’t get the fit right (becuz u can’t for a newborn). The straps flipped up&dug into me, too…At almost 5months, the insert could begin to work, Tho now the straps laid better, but it is not an easy slip on/off (my whole reason for a buckle carrier), otherwise my tall and skinny baby was swimming in it. My suspicion is it is a nice carrier for a toddler. Get the right size for the right time. While trying it on at a meeting in an air conditioned library, it got really hot! Won’t use it for any real outing now so I cant say if that wasn’t just because he was fussing, but that was not an issue with anything else. I think there’s a newer model now but the rumor is that Onya knows about its weaknesses and doesn’t give great support. I’ll donate the insert to the BWI group so others can come to their own conclusion. Meanwhile,this will hang in the closet for a year. Agree that it is not ideal for infants. I am not a super big fan of the infant insert. However, it does rock for older babies and kids! And it does a great job of getting the weight on your hips (when adjusted correctly). 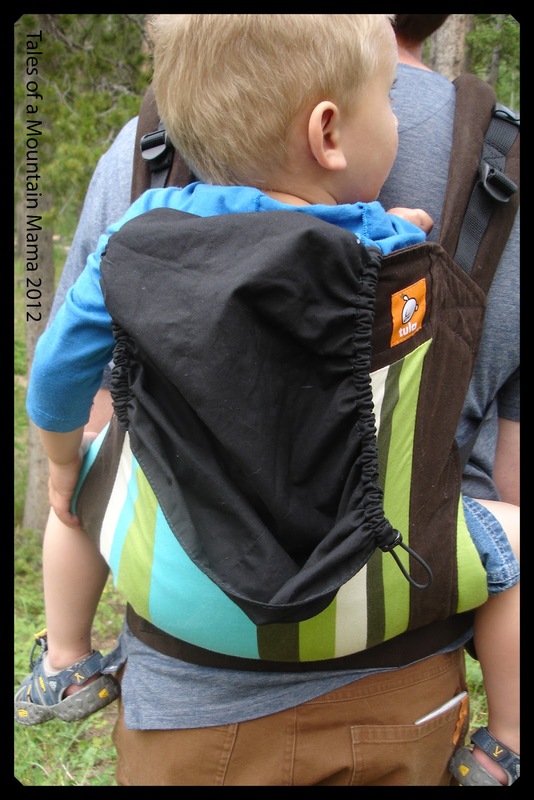 Was wondering which one would be better for a toddler that is 31 lbs but I am only 5″1″ ..so not the biggest or tallest but still want to find a carrier for my toddler when he gets tired hiking or walking . Hi there- thanks for this great blog! We are taking our 3 kids to Disney World in January and I need a carrier for our son who will be 13 months when we go. I’m trying to decide between the Tula and the Onya but am open to other suggestions. Our son is about 21 pounds now. We will need something that helps us carry him around the parks without getting too tired and keeps him comfortable and shaded. He also tends to have sensitive skin (light skinned red head). We will be on an airplane, walking around a lot in the parks, etc… do you have a recommendation? Many thanks for your help! HI Sarah, personally I prefer the Onya or Kinderpack over a Tula…but that’s my personal preference! I would also recommend checking out Jublii. Just be sure you have a hood (I would stay away from the Onya Pure because no hood…). The nice thing about an Onya is that seat to keep them contained when they’re moving (but not quite walking). Does that help at all? 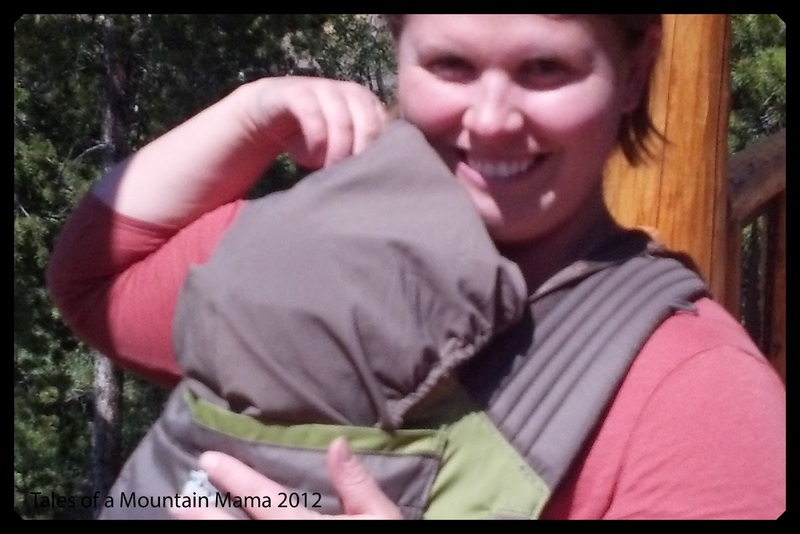 Between the Onya Outback and Tula Ergonomic (with infant inserts), which do you think is better with a newborn? Or is there a different carrier you’d prefer for a newborn? I’m hoping to use the carrier around the house and for walks and hikes. We live in a warm climate, which is why I’m leaning against any of the wraps or other options with more material. Thanks!